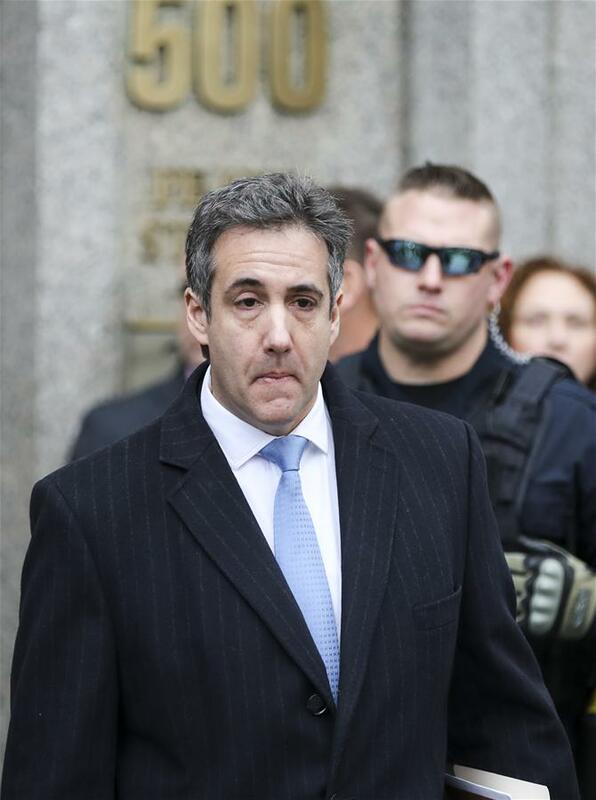 WASHINGTON, Dec. 12 (Xinhua) -- Michael Cohen, U.S. President Donald Trump's former long-term personal attorney, was sentenced Wednesday to three years in jail after pleading guilty to a series of crimes, including campaign finance violations, tax evasion and lying to Congress. Prosecutors had recommended a "substantial term of imprisonment" for Cohen, pushing back on an earlier argument by Cohen's lawyers that he should serve no prison time. Cohen's sentencing came after he pleaded guilty in cases with prosecutors in the Southern District of New York and with special counsel Robert Mueller's team that is investigating into alleged Russian interference in the 2016 U.S. presidential election. "I take full responsibility for each act that I pled guilty to, the personal ones to me and those involving the president of the United States of America," Cohen said during a hearing at a federal court in New York. At times he paused to control his emotions and shed tears. "Somewhere along the way Mr. Cohen appears to have lost his moral compass," U.S. District Judge William Pauley said. "As a lawyer, Mr. Cohen should have known better." Cohen, 52, pleaded guilty in August to evading 1.4 million U.S. dollars in taxes related to his own businesses, as well as paying hush-money in the eve of the 2016 Election Day to two women who alleged affairs with Trump, then a presidential candidate. "It was my blind loyalty to this man that led me to take a path of darkness instead of light," Cohen said of Trump. "I felt it was my duty to cover up his dirty deeds." Referring to the cover-up payments, federal prosecutors wrote in a court filing, "In particular, and as Cohen himself has now admitted, with respect to both payments, he acted in coordination with and at the direction of Individual-1." Individual-1 is the term prosecutors have been using to refer to the Trump. Trump tweeted Monday that the payments were "a simple private transaction," not election-related spending subject to campaign-finance laws. Before his sentencing was announced, Cohen was expected to get a four-year prison time. A slight break was granted to him because of his assistance to law enforcement as well as cooperation with the Mueller team. However, Pauley said Cohen's plea to guilty and assistance "does not wipe the slate clean." Cohen is ordered to surrender on March 6. Part of Cohen's cooperation with the Mueller team involves the alleged Trump Organization real-estate project in Moscow, about which Cohen admitted on Nov. 29 that he lied to Congress. Trump reacted on the same day by calling Cohen "a weak person and not a smart person." "Very simply, Michael Cohen is lying, and he is trying to get a reduced sentence for things that have nothing to do with me," the president said.